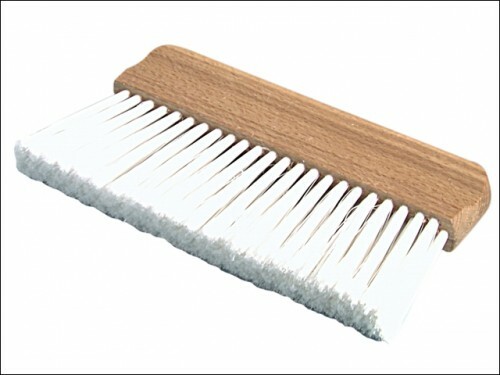 A paper hanging brush with a grooved wooden handle to provide extra control during use. It has synthetic filaments. Size: 200 mm (8in).